Nottingham Lions remain top of the league following their 10-2 demolition of bottom team Coventry Blaze on Sunday evening. Joe Humphries top scored with 3+3 in a game that saw the Lions 7-0 up before the Blaze finally managed to find the back of the net in the 49th minute. Former Streatham Redskins netminder Samantha Bolwell – a GB international who also plays in goal for the Sheffield Shadows in the Women’s Elite League - came on for the last 10 minutes. Second place Deeside Dragons actually drew level on points with Nottingham at the top for 24 hours after their 3-8 win away at Hull Jets on Saturday night. But, despite having a superior goal difference to the Nottingham side, the Dragons still remained second due to their inferior playing record against the lions. Nottingham then regained their two point lead on Sunday night, although they have played three games more than the Dragons. 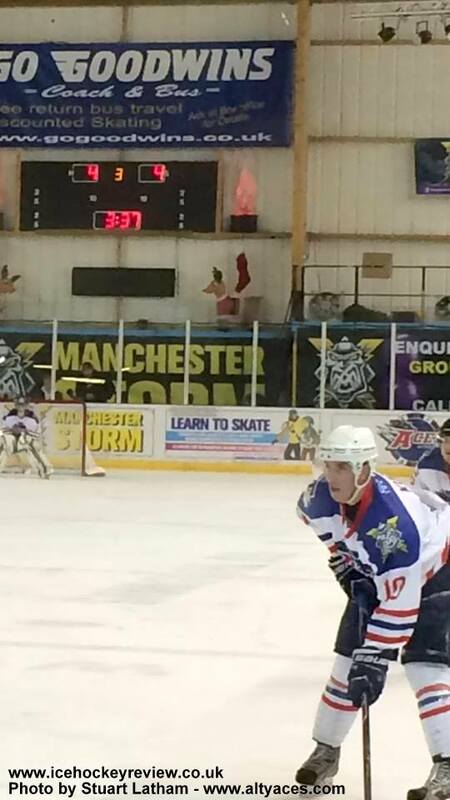 Third placed Widnes Wild lost ground on the top two with a 4-4 draw away at local rivals Altrincham Aces. The Wild were leading 2-4 with 15 minutes to go but were pegged back with the GTG being scored by the Aces’ Joe Greaves with 5 minutes to go. 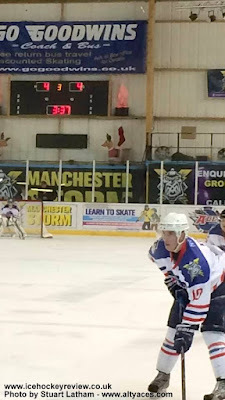 Next weekend sees 4th place Blackburn Eagles – who are on the back of a 5 game winning streak – face Widnes Wild home and away on successive days while Deeside Dragons have the chance to go top of the table with a home game against Hull on Saturday and a visit to Coventry on Sunday.